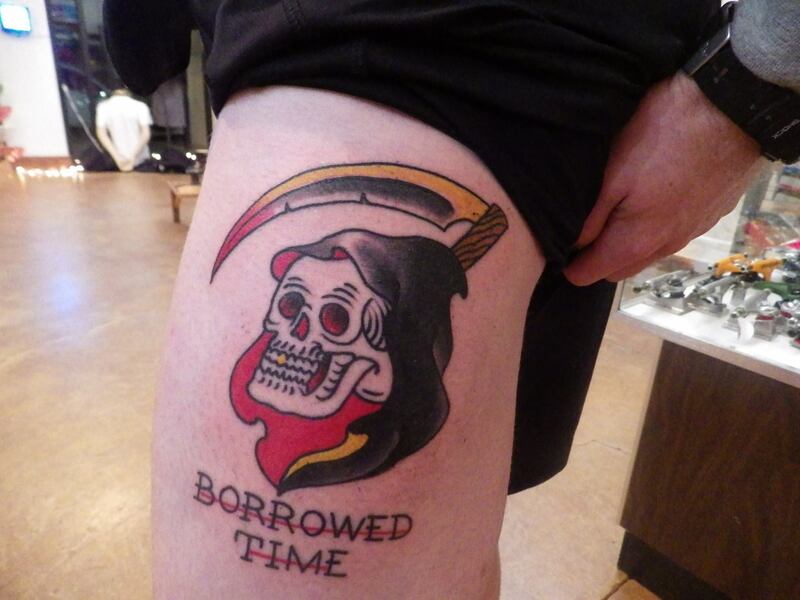 Borrowed time #bekind Tattoo by David Rogers. Call or stop by the gallery to make an appointment or to pick up a fun and unique gift! ← Chunk life! Really cool piece by Charles Burgess in the gallery for a limited time!